PLYMOUTH Leander’s Ben Proud has been confirmed in England’s swimming squad for April’s Commonwealth Games in Australia. Team England named their first 15 athletes that will be heading out to the Gold Coast for the multi-sport competition on Wednesday morning. The event will place between April 4 and April 15. World champion Proud will be defending his 50m butterfly and 50m freestyle titles he won in Glasgow in 2014. 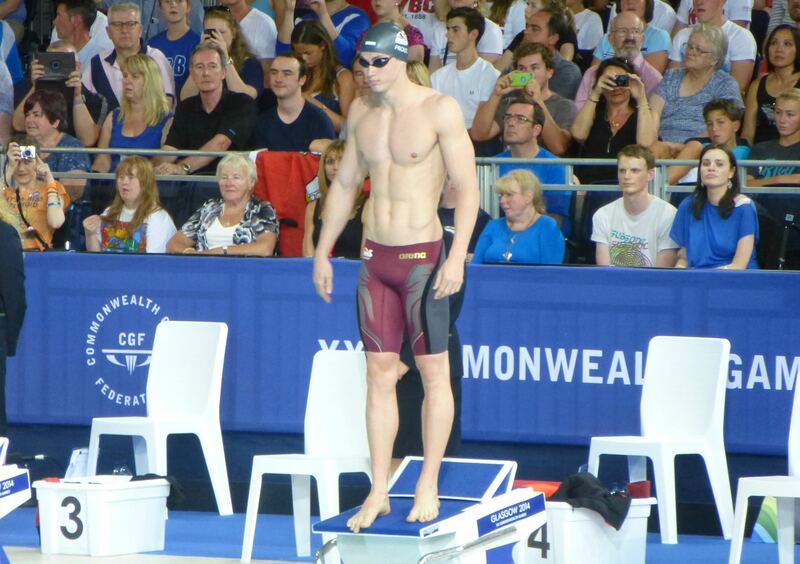 He also won a 4x100m freestyle bronze in Scotland. Joining Proud in the England swim team will be world and Olympic champion Adam Peaty, as well as James Guy, Andrew Willis, Max Litchfield, Luke Greenbank, Siobhan Marie-O’Connor, Molly Renshaw, Eleanor Faulkner, Lizzie Simmonds, Freya Anderson, Sarah Vasey, Jocelyn Ulyett, Holly Hibbott and Emily Large.